Isa (Upon him peace) was taken to heaven at the age of 33. One of the truths of the Quran was from Allah is that it critised the Prophet Muhammad (peace and blessings of Allah upon him) in it. Hasan Basri (May Allah Ta’ala be pleased with him) was a well dressed handsome young man who used to wander in the markets of Basra. One day he saw a beautiful woman and started to chase her. The woman saw him and said "Are you not afraid?" Hasan said, "Of whom?" She replied, "Of Him who knows the lustful movement of your eyes and reads your intentions." Hasan felt the pinch of these words, but was so overwhelmed by her sensuality that he continued to chase the lady. She said: "Why are you chasing me?" Hasan replied "I love the beauty of your eyes." The woman said: "Wait, you will soon get your ambition fulfilled." Hasan halted there thinking that the woman had also fallen in love with him. After a while a slave girl came over to him with a covered tray in her hand. Hasan uncovered the tray and found two human eyes. The slave girl said, "My lady says that she does not want to own such eyes that could enchant a stranger." Back home, Hasan cried the whole night in repentance. In the morning he decided to go back to the lady and apologise. There he saw the house of the door closed and women crying inside. On inquiry Hasan found that the woman died last night. He went back home and cried for three days. The third night he dreamed that the lady was sitting in Paradise. He asked for her forgiveness and she forgave him. She said "It is because of you Allah has given me a high status in Paradise." He asked her for some advice. She said "Whenever you are alone, recite the praise and names of AllahSubhanu wa Ta’ala, and repent your sins every morning and every evening." Hasan brought her advice into practice and attained fame as a learned and virtuous man. By Sheikh Muhammad ibn al Ya`qubi al Hasani. Hundreds of definitions of Tasawwuf have been drawn. Acting upon knowledge Noble character Acquiring the good characters andgetting rid of the bad. 2. The subject:The Divine Essence as how Allah can be known. Another opinion says that the subject of this discipline is hearts and souls; because it works on their purification and cultivation. Both opinions are correct as the latter looks at the goal and the former looks at the means; as it has been correctly said, ”He who knows himself will know his Lord”. 3. The fruit: The fruit or the benefit of this discipline is the purification of the heart and knowing the Master of the worlds. 4. The merit: Tasawwuf is a noble discipline of high merit. Its nobility stems from its subject. Al-Ihsan is one of the three levels of this deen and the highest. 6. The pioneer: The word al-wadi means the one that sets forth this branch of knowledge. It is of course the Prophet (May Allah bless him and grant him peace). Many ahadith highlight this fact, most famous of which is hadith Jibril (May Allah ta'ala bless him). The first one who made this knowledge known is Sayyiduna Ali (May Allah Ta'ala be pleased with him) and then his son Sayyiduna al-Hasan (May Allah Ta'ala be pleased with him) and al-Hasan al-Basri (May Allah Ta'ala have mercy on him). 7. The name: The name of this science is tasawwuf. 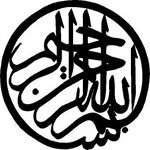 The word is derrived from souf: wool;or from safa: purity; or from suffa: the special place of a group of the sahaba in the Holy Sanctuary of the Prophet (May Allah bless him and grant him peace).The discipline has been known by this name since the second century ofhijra, i.e. the time of the salaf (May Allah have mercy on them). It has been frequently called ilm as-Sulouk, ilm al-Ihsan, ilm at-Tarbiyah or ilmat-Tazkiyah. 8. The sources: Tasawwuf relies on al-Quran and as-Sunnah as the sources and proofs of its material. The sayings of the great scholars are a rich treasure for the seekers and the masters alike. 9. The legal ruling: The legal ruling of studying tasawwuf is fard i.e. obligatory. Since all human beings are susceptible to sins save for the Prophets. Imam Abul Hasan ash-Shadiliy (May Allah's Ta'ala mercy be with him) ”Who does not deeply study this discipline will die persisting on major sins without being aware of it”. 10. The issues discussed:Tasawwuf tackles some of the cardinal elements of the deen such as ikhlas: sincerity; sidq: truthfulness; wara: religious cautioness; tawakkul: reliance; zuhd: asceticism; mahabba: love; and similarly their opposites,wich are called the diseases of the hearts such as insincerity; hypocrisy;arrogance; greed. It also tackles some of the subtlest subjects such as the passing of thoughts; the states of the heart; inspiration. One of its most important subjects is dhikr, the remembrance of Allah and its virtues; another is the sheikh and his qualifications, the disciple murid and his adab. Our sins have been forgiven for what has happened, what is coming and our bad deeds have been changed into good deeds. Prophet Dawaud (David) (Upon him peace) Said to Allah Subhanu wa Ta’ala If the sinners knew how much they would be forgiven, there limbs would leave their bodies. Allah Subhanu wa Ta’ala is the creator of life and our life is a test. When Isa (Jesus) (Upon him peace) comes back a whole family will eat from a pomegranate for a whole month. 1) In Sura Yasin v.3 "By the Quran, you are the messenger." The Prophet (peace and blessings upon him) is mentioned 227 times in the Quran as "O' Prophet", a respectful title. rather than be told the truth." Whoever obeys Allah subhanu wa ta'ala everything obeys him. The generosity of person is in what they do for you, not what they spend on you. If food is made with special effort then eat with special effort. The Prophet (peace and blessings upon him) used to stroke his wife’s hand he said (peace and blessings upon him), " Stroke your wife’s hand." Then he would ask her about her day and her problems. The meaning of the word Adab is to put something in its right place. Women are delicate; they are made from the rib of Adam (Upon him peace). The rib naturally inclines of mans heart. Hawa (Upon her peace) was born to incline to Adam's (Upon him peace) heart. Don’t be surprised if your wife wishes to beautify herself. The Prophet (peace and blessings upon him) liked 3 things about this world: Prayer, women and perfume. These are all worldly things which will benefit a person in the afterlife. Angels like nice smells, buy expensive perfume. Ali ibn abu talib (May Allah Ta’ala be pleased with him) said to play with your child for seven years, teach your children for seven years and be a friend for seven years. Someone becomes an unbeliever if they say that the Quran is mans word. Allah’s Subhanu wa Ta’ala Speech doesn’t need time; if we say so then we put a limit on him. No voice, no beginning and no end. The Quran is realistic proof. Stay away from doubtful things Allah Subhanu wa Ta’ala is unimaginable; you will not see him during the day. Allah Subhanu wa Ta’ala already knows the amount of people who will go to heaven and who will go to hell. There is not such thing as time with Allah Subhanu wa Ta’ala, time is his creation, and time is under Allah’s Subhanu wa Ta’ala control. There is a delay of six hours in writing a sin. A bad intention that you do nothing about is written as a good deed. Whoever goes to the fire goes out of his justice and who goes to heaven it is out of his bounty. Peoples actions are created by Allah, we are given the option to do right and do wrong. Allah is never unjust. He is perfect far beyond doubt and flaw. The dua of the oppressed is always answered, beware of their dua. Nothing can be independent of Allah Subhanu wa Ta’ala, even for the blinking of an eye. No one is independent from Allah Subhanu wa Ta’ala, if he considers himself so, then he is guilty of unbelief. Allah Subhanu wa Ta’ala is pleased and angered but not like a human being. We don’t accept what soothsayers or astrologers say. We do not despair from him mercy but we hope we will be forgiven. We don’t fall short in our obligations or go to excesses. Several letters have been received by me asking me to declare my views about the Arab-Jew question in Palestine and the persecution of the Jews in Germany. It is not without hesitation that I venture to offer my views on this very difficult question. My sympathies are all with the Jews. I have known them intimately in South Africa. Some of them became life-long companions. Through these friends I came to learn much of their age-long persecution. They have been the untouchables of Christianity. The parallel between their treatment by Christians and the treatment of untouchables by Hindus is very close. Religious sanction has been invoked in both cases for the justification of the inhuman treatment meted out to them. Apart from the friendships, therefore, there is the more common universal reason for my sympathy for the Jews. Palestine belongs to the Arabs in the same sense that England belongs to the English or France to the French. It is wrong and in-human to impose the Jews on the Arabs. What is going on in Palestine today cannot be justified by any moral code of conduct. The mandates have no sanction but that of the last war. Surely it would be a crime against humanity to reduce the proud Arabs so that Palestine can be restored to the Jews partly or wholly as their national home. The nobler course would be to insist on a just treatment of the Jews wherever they are born and bred. The Jews born in France are French in precisely the same sense that Christians born in France are French. If the Jews have no home but Palestine, will they relish the idea of being forced to leave the other parts of the world in which they are settled? Or do they want a double home where they can remain at will? This cry for the national home affords a colourable justification for the German expulsion of the Jews. But the German persecution of the Jews seems to have no parallel in history. The tyrants of old never went so mad as Hitler seems to have gone. And he is doing it with religious zeal. For he is propounding a new religion of exclusive and militant nationalism in the name of which any inhumanity becomes an act of humanity to be rewarded here and hereafter. The crime of an obviously mad but intrepid youth is being visited upon his whole race with unbelievable ferocity. If there ever could be a justifiable war in the name of and for humanity, a war against Germany, to prevent the wanton persecution of a whole race, would be completely justified. But I do not believe in any war. A discussion of the pros and cons of such a war is therefore outside my horizon or province. But if there can be no war against Germany, even for such a crime as is being committed against the Jews, surely there can be no alliance with Germany. How can there be alliance between a nation which claims to stand for justice and democracy and one which is the declared enemy of both? Or is England drifting towards armed dictatorship and all it means? Germany is showing to the world how efficiently violence can be worked when it is not hampered by any hypocrisy or weakness masquerading as humanitarianism. It is also showing how hideous, terrible and terrifying it looks in its nakedness. Can the Jews resist this organized and shameless persecution? Is there a way to preserve their self-respect, and not to feel helpless, neglected and forlorn? I submit there is. No person who has faith in a living God need feel helpless or forlorn. Jehovah of the Jews is a God more personal than the God of the Christians, the Mussalmans or the Hindus, though, as a matter of fact in essence, He is common to all and one without a second and beyond description. But as the Jews attribute personality to God and believe that He rules every action of theirs, they ought not to feel helpless. If I were a Jew and were born in Germany and earned my livelihood there, I would claim Germany as my home even as the tallest gentile German may, and challenge him to shoot me or cast me in the dungeon; I would refuse to be expelled or to submit to discriminating treatment. And for doing this, I should not wait for the fellow Jews to join me in civil resistance but would have confidence that in the end the rest are bound to follow my example. If one Jew or all the Jews were to accept the prescription here offered, he or they cannot be worse off than now. And suffering voluntarily undergone will bring them an inner strength and joy which no number of resolutions of sympathy passed in the world outside Germany can. Indeed, even if Britain, France and America were to declare hostilities against Germany, they can bring no inner joy, no inner strength. The calculated violence of Hitler may even result in a general massacre of the Jews by way of his first answer to the declaration of such hostilities. But if the Jewish mind could be prepared for voluntary suffering, even the massacre I have imagined could be turned into a day of thanksgiving and joy that Jehovah had wrought deliverance of the race even at the hands of the tyrant. For to the godfearing, death has no terror. It is a joyful sleep to be followed by a waking that would be all the more refreshing for the long sleep. It is hardly necessary for me to point out that it is easier for the Jews than for the Czechs to follow my prescription. And they have in the Indian satyagraha campaign in South Africa an exact parallel. There the Indians occupied precisely the same place that the Jews occupy in Germany. The persecution had also a religious tinge. President Kruger used to say that the white Christians were the chosen of God and Indians were inferior beings created to serve the whites. A fundamental clause in the Transvaal constitution was that there should be no equality between the whites and coloured races including Asiatics. There too the Indians were consigned to ghettos described as locations. The other disabilities were almost of the same type as those of the Jews in Germany. The Indians, a mere handful, resorted to satyagraha without any backing from the world outside or the Indian Government. Indeed the British officials tried to dissuade the satya-grahis from their contemplated step. World opinion and the Indian Government came to their aid after eight years of fighting. And that too was by way of diplomatic pressure not of a threat of war. But the Jews of Germany can offer satyagraha under infinitely better auspices than the Indians of South Africa. The Jews are a compact, homogeneous community in Germany. They are far more gifted than the Indians of South Africa. And they have organized world opinion behind them. I am convinced that if someone with courage and vision can arise among them to lead them in non- violent action, the winter of their despair can in the twinkling of an eye be turned into the summer of hope. And what has today become a degrading man-hunt can be turned into a calm and determined stand offered by unarmed men and women possessing the strength of suffering given to them by Jehovah. It will be then a truly religious resistance offered against the godless fury of dehumanized man. The German Jews will score a lasting victory over the German gentiles in the sense that they will have converted the latter to an appreciation of human dignity. They will have rendered service to fellow-Germans and proved their title to be the real Germans as against those who are today dragging, however unknowingly, the German name into the mire. And now a word to the Jews in Palestine. I have no doubt that they are going about it the wrong way. The Palestine of the Biblical conception is not a geographical tract. It is in their hearts. But if they must look to the Palestine of geography as their national home, it is wrong to enter it under the shadow of the British gun. A religious act cannot be performed with the aid of the bayonet or the bomb. They can settle in Palestine only by the goodwill of the Arabs. They should seek to convert the Arab heart. The same God rules the Arab heart who rules the Jewish heart. They can offer satyagraha in front of the Arabs and offer themselves to be shot or thrown into the Dead Sea without raising a little finger against them. They will find the world opinion in their favour in their religious aspiration. There are hundr-eds of ways of reasoning with the Arabs, if they will only discard the help of the British bayonet. As it is, they are co-sharers with the British in despoiling a people who have done no wrong to them. I am not defending the Arab excesses. I wish they had chosen the way of non-violence in resisting what they rightly regarded as an unwarrantable encroachment upon their country. But according to the accepted canons of right and wrong, nothing can be said against the Arab resistance in the face of overwhelming odds. Let the Jews who claim to be the chosen race prove their title by choosing the way of non-violence for vindicating their position on earth. Every country is their home including Palestine not by aggre-ssion but by loving service. A Jewish friend has sent me a book called The Jewish Contribution to Civilization by Cecil Roth. It gives a record of what the Jews have done to enrich the world’s literature, art, music, drama, science, medicine, agriculture, etc. Given the will, the Jew can refuse to be treated as the outcaste of the West, to be despised or patronized. He can command the attention and respect of the world by being man, the chosen creation of God, instead of being man who is fast sinking to the brute and forsaken by God. They can add to their many contributions the surpassing contribution of non-violent action.